Putney Public Library offers eBooks and downloadable audiobooks to all Library cardholders. These e-materials are provided through Listen Up! Vermont by Overdrive and OneClick digital by Recorded Books all you need to do is install the free reader software for each company and then use your library card number to access all your favorite titles. You can listen on any Windows computing device, transfer to a portable device or burn onto a CD. Titles automatically expire. 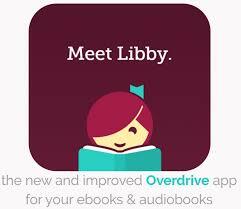 Overdrive, which provides the content for Listen Up! Vermont has launched a new, easier app for tablets and smartphones. Download Libby by clicking on the above image! If you’d like assistance starting accounts with either of these services, contact the Library at 802-387-4407 or by email.